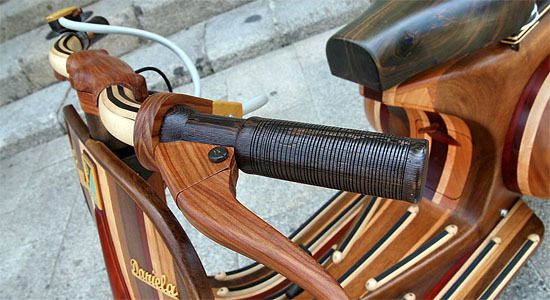 In 2001 Portuguese carpenter Carlos Alberto was inspired to create his second all-wooden motorbike. After seven years of work, trials & tribulations, the Vespa Daniela was born. Crafted using rosewood, ebony, beech, satin-wood, Brazilian cherry, tacula, panga-panga, sucupira, and sycamore, this reworking of the Italian design icon is one-of-a-kind. 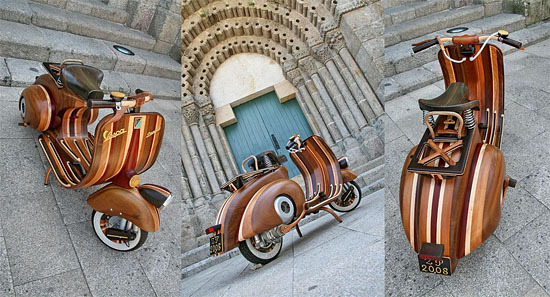 No word on whether Piaggio has reached out to Alberto for a limited edition series, but consider it suggested.